With more and more business owners using social media for business, setting up Facebook pages and becoming a lot more active on social media, it can feel like it is getting harder and harder to reach and find the right kind of people. To connect with these people to become raving fans and customers. Put this together with ‘Facebook Zero’ earlier this year, and everybody telling everyone else that organic reach is dead on Facebook…what a mess! No wonder there are so many dissatisfied business owners thinking that social media doesn’t work because it just takes too much time and too much money to get a return on investment. What I see is a lot of reactive marketing where people put stuff on Facebook or websites and other social media platforms, it’s simply very reactive. It’s reactive to the market. It’s doing what everybody else does with a ‘copycat’ marketing style. You can see the trends as they come through your newsfeed. One month, it’s all about building online programs. The next month, it’s all about Instagram hacks. Then the trend moves on to celebrity and influence marketing…it never ends. Just do a Google search to find an answer, you will literally come back with thousands of solutions in under a second. Is it possible to use organic reach to grow your business? How can you leverage the relationships you’ve already established and the connections you’ve worked hard to build? As with any social media for business strategy…what is it you actually want to achieve from your promotion? What is the purpose? Having a clear strategy on what you’re wanting to achieve is a MUST before you start actively creating any kind of content for your social media platform or indeed any traditional marketing. What are your specific goals for the workshop? Who is the target audience, your ideal client for the workshop? What action do you want people to take when they opt-in for more information? What action do you want people to take when they attend the workshop? It could be a monthly sale, a new product, a launch of a membership site or the publication of your book. Once you have been clear on what you’re going to offer…who are you offering it to? Ideal client or target market in business is critical to the success of paid advertising, let alone organic or free advertising. Get clear on your ideal client…understand intimately their problems. Get clear on the offer, and make sure you bring them together and that it fits in with your core business. Where do your ideal clients hang out? Which groups are they in? You go to those groups, not where all your competitors hang out, not with those who are all doing what you do, where your market is. From there, we can create the ambassador strategy. 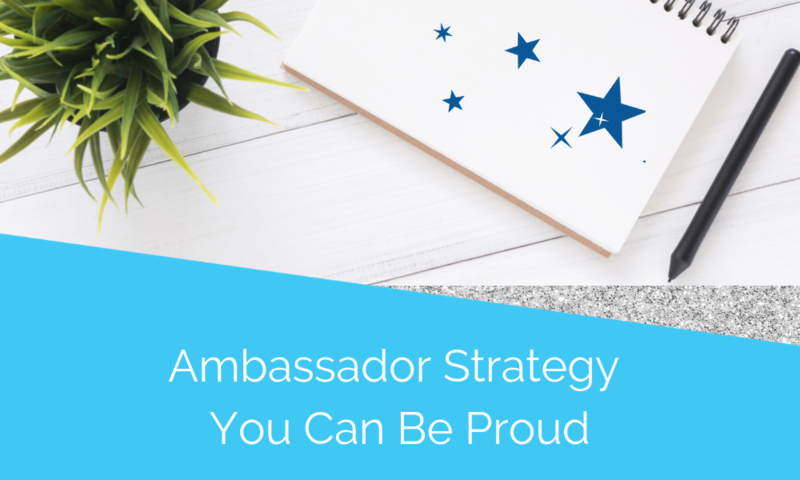 The ambassador strategy is simply strategically leveraging the connections and the relationships you have developed.  Whether they be in groups, personal profiles and friends, or whether they be followers or fans on your business page, using social media for business to grow your connections and make more money. Put together a list of potential people, businesses, groups that will be on your Ambassador Strategy….from the ideas I have just talked about. Make sure they are complementary to what you do or perhaps form a strategic power group with other business owners. What this means is that a business or person has a complementary service or product to you…or in other words, they have the same or similar ideal client to you. For example, I’m in marketing and social media, so I could absolutely create a strategic power group with a web developer and hosting business, photographer, a business coach or bookkeeper. Once you put your list together, you’ll then need to think about what exactly you’re wanting help with. 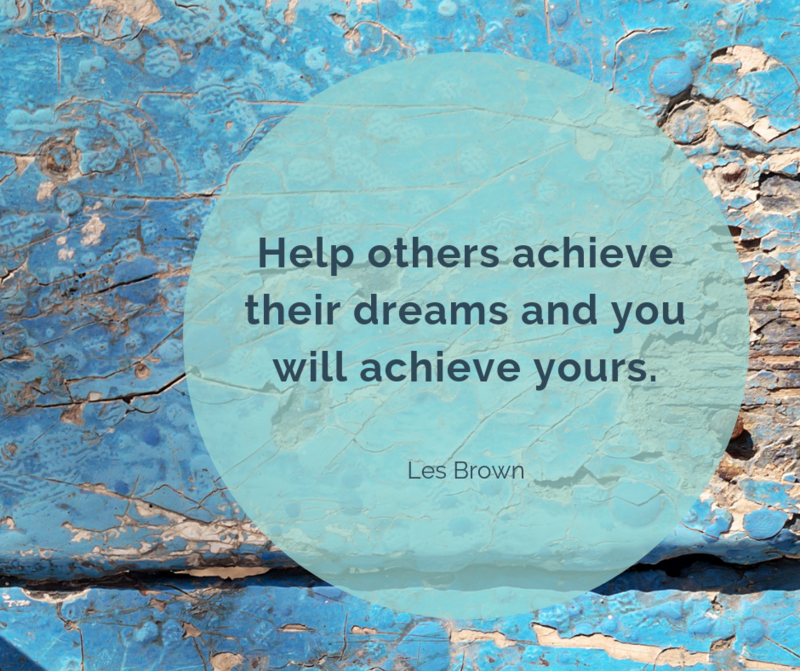 Big Hint: the way this kind of help works best starts with how you can help them more than they can help you. 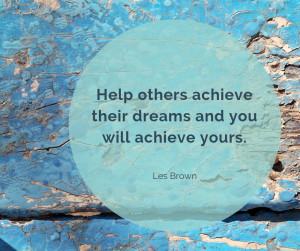 I believe, when it comes to building Ambassador Strategies and building strategic alliances who are your go-to people…the ones who will help you when asked. The focus is on providing support and actively participating first rather than what you get out of it. 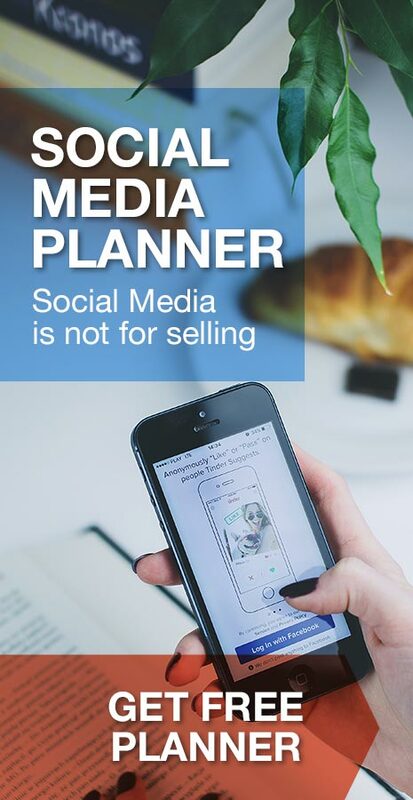 Time to starting your plan for social media for business. Put together your list, come up with a script so that you offer 100% value when you reach out. This can be done via messenger, through email, via the phone as to how you can help them, and how they can help you. An example of this in action is what I call the social media blitz. This year, during and after my treatment for breast cancer, I decided to run a local workshop. I planned to hold just one, and have now filled my fifth workshop in the past 6 months. Now, during these workshops, I offer my clients to become a part of my Social Workshop 2018 group. A social media blitz is where you have a specific post that you would like organic promotion on and you use your strategic alliances to get support via comments, tags, like’s and shares. In the group, I teach my clients EXACTLY how to do the social media blitz, from there it then organically creates strategic alliances and an Ambassador Strategy within the group. Locals supporting locals. Each member is encouraged to give support, which in turn comes back with active organic social media support. A win-win all around. There is no denying social media for business is here to stay, and as a small business owner, there is a big challenge when it comes to a positive ROI in terms of time and money vs profit. The Annual Yellow Pages Sensis Report which was published in June 2018, takes a snapshot of the Australian consumer and business sector and its relationship with social media. Almost two-thirds of consumers (64%) will be more likely to trust a brand if they interact with consumers in a positive way on social media. Building brand trust means interacting positively with customers on social media, making your content engaging and relevant, and regularly updating it, according to more than 50% of social media users. Four in ten consumers (44%) are following businesses or brands via social media, and this is even higher among females (52% vs 35%) and those aged 18-29 (64%). In a nutshell, your ideal client or target market is on social media daily, using their smartphone. When you know what your ideal clients WANT…you can then provide valuable and shareable content, which in turn builds trust, which equals sales and cash in the bank. You should now have a list, of at least 10, maybe 20+ people who get you and what you are trying to achieve. These are now your ambassadors, people who are going to actively promote what you do, just like we do in our groups. The Ambassador Strategy or strategic alliance is not for every post. This is where you want to look at the posts that are promotional, or perhaps it’s a new offer or a new program, or you’ve written a book, and those are the posts that you save to get the support from your ambassadors. My suggestion is one per week. Give your ambassador’s explicit instructions of what you would like them to do, oh and don’t forget to pre-warn them in advance on when that post is due to come out. I have two clients right now who are well into their six figures within two years purely from growing their businesses in this manner. On your content calendar and planner, choose the posts that you plan to share using your Ambassador Strategy, ensure that they have a call to action, ensure there is a return on investment for the time and effort you and your ambassadors do to promote this post. Once you have written the post and published it to your business page, you then take the URL and share it through Messenger to your ambassadors and say, “Here is the post,” and give them exact instructions of what you would like them to do. The algorithm of Facebook, of course, is a mystery. However, there are things we can do to get around that algorithm, and this is one of them. Get the engagement up in the first hour of that post being published through your ambassadors, and the algorithm will kick through the various levels and increase those who see the post, which means increasing the engagement and the reach for free. The other method I mentioned was the power group where you actively do these exact steps for each other and use organic reach to grow your businesses. It means you are actively offering the services of your chosen power group to your market, and they do likewise with yours. As with anything on social media, it takes consistency and effort every day and every week to make sure this particular strategy works. Plan what you’re wanting to achieve – who is it for, answer the questions at the beginning of this article. Who is the offer going to be for? Who’s your ideal client? What’s the particular offer? What’s the return on investment? What are you looking for? Are you looking for a name, and email, and phone number? Are you looking for sales? Pick your Ambassadors for the program. Who’s on your list? Who’s in alignment with your business and is there a power group you could form that is complementary to your product or your service? Get this done before you start and it will tick along like clockwork. It means everyone knows what is happening, why, and what their role is in the program. Make sure that you thank your ambassadors, the best way to do this is to shout out to their business as well, give them a testimonial and support. Have fun with this, enjoy the ambassador strategy in your social media for business, it works a treat, especially when you look after each other. As I say… people know people know people. Want to get the cheat sheet for this article? Click on the link below and it will be sent to your inbox shortly. Aren’t You Worried About Business Growth? Struggling To Get Results Using Social Media? Let me show you how to get more reach, referrals and results for your business with social media. SIMPLE. EFFECTIVE. FREE. You’re in business, you’re great at what you do and you’re passionate about who you want to help. You’re getting results, just not enough and you know it can be done using social media. When done the right way, it’s a real game changer…the right people coming through your door, more sales, so you can then go and do what you really want to! It’s all about saving you a stack of time, money and energy to get a system and process working for you so you can then Rinse and Repeat. Behind every successful business owner is a tribe of other successful business owners who have your back.